Tokyo is a global mega city that has it all. Never boring and always alive, there is without doubt always something interesting just around the next corner. Major highways and busy upscale luminous shopping streets often give way to peaceful side lanes which hide history and traditional Shinto shrines. 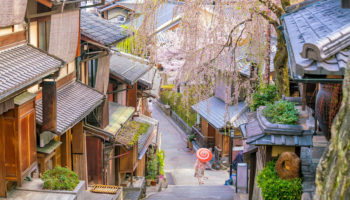 The wondrous city of Tokyo really does have something for everyone: whether you are looking for fine dining and upscale shopping or quirky cafes and vintage boutiques, you will find it here. 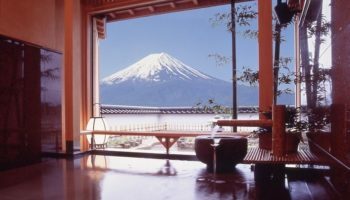 Art galleries are housed in breathtakingly modern skyscrapers and traditional houses offer beautiful glimpses into Japanese life; this metropolis is boldly mad and delicately beautiful at the same time. 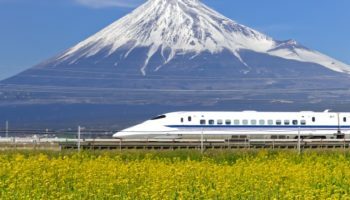 The Japanese capital is also unbelievably safe and it is incredibly family friendly – not only that, but the food is world class, the transport system is famously punctual and easy to traverse, plus the people of Tokyo are amazingly hospitable. So what are you waiting for? Tokyo is ready for you to explore, but this is a massive city with a whole load of neighborhoods to stay in, which is why we have rounded up the top places for you to stay in Tokyo. 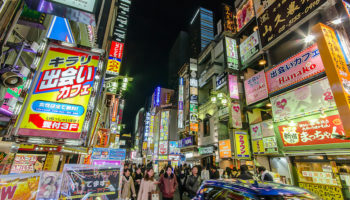 Shinjuku is the futuristic neon city that most people think of when they someone mentions Tokyo: shining buildings shooting to the sky, pinging pachinko parlours and gaming arcades that are open all hours. 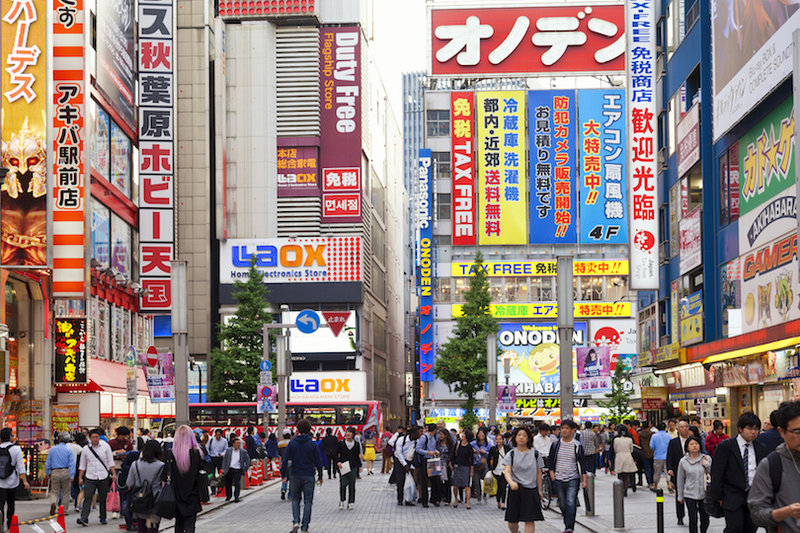 Shinjuku is a futuristic dream of Asian proportions, everything that you could possibly need is available here; shopping, delicious eateries, fantastic transport links, a range of entertainment, it’s got it all. 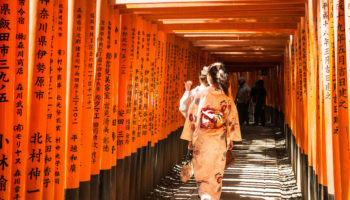 This is an exciting and impressive area, but can sometimes be a lot for first time visitors to the Japanese capital to take in, but staying in Shinjuku is well worth the initial culture shock. Hotels in this district range from compact but well thought out and meticulously clean, to upscale luxury. 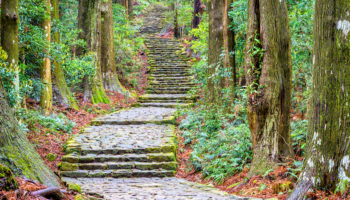 Shinjuku also has its fair share of quieter back streets and green open spaces for people to take a break from the masses of people and to spend some time amid nature. Keio Plaza Hotel Tokyo – If food is what you like, you are in for a treat at Keio Plaza Hotel Tokyo. This 5-star option features a whopping 21 different places to eat, featuring different international cuisines – including Chinese, Korean and French. There’s even a Japanese tea ceremony room. Rooms are sophisticated and warmly decorated. This high-end, towering hotel is less than a 10-minute walk to Shinjuku station. The craziness of Shibuya is also within easy walking distance. Hotel Gracery Shinjuku – Set in a high-rise building, this hotel features rooms that may be compact but are nevertheless bright and comfortable. Upgraded rooms have their own seating areas and amazing city views. Whichever sort of room you choose, you can always get room service. It’s just a six-minute walk from this 4-star offering to the well-connected Shinjuku station. The bar district of Golden Gai is within easy walking distance. There’s also an Italian restaurant and coffee shop. Shinjuku Granbell Hotel – This luxury option boasts a lot of cool, contemporary design, both in its communal areas and in the stylish rooms, which are bright and design-led. Guests can enjoy incredible city views from the terrace bar on the 13th floor of Shinjuku Granbell Hotel. Or the modern restaurant on the 12th floor, which serves French and Italian cuisine. Situated in the heart of the bustling Kabuki-cho area, Higashi Shinjuku station is less than a five-minute walk away. Japan’s rushing kinetic business district Marunouchi is between Tokyo Station and the Imperial Palace, home to some of the most prestigious companies in the whole of the country. In modern years the area has been developed skyward with many of the old office buildings being replaced by modern, futuristic skyscrapers. Often doubling up as entertainment hubs, the skyscraper’s lower floors are home to restaurants, shops and cinemas. This district has been attracting more and more non-business visitors in recent years and some fantastic accommodation is now available in the area, including the oldest hotel in Tokyo, the Tokyo Station Hotel. If you want to stay somewhere in the centre of the city with good connections to transport links then this is the area for you; Tokyo Station, although a huge complex, has great signage and it is simple to hop on a bullet train to continue your Japanese adventures in other parts of the country, or if you are coming from the airport. Marunouchi Hotel – The rooms at the 5-star Marunouchi Hotel are warm, spacious and understatedly stylish – plus the beds are extremely comfortable. Guests can enjoy a number of dining options at this slice of luxury, with French cuisine available at one of them and Japanese fare served at another. There’s also the option of either a Japanese or American style breakfast. Tokyo Station and Otemachi Station are both within walking distance. The Tokyo Station Hotel – As the name suggests, this hotel is just a stone’s throw from Tokyo Station. It’s set in a beautiful building that dates back to 1915, making it a historic place to stay in a city of skyscrapers. The rooms are beautifully done; upgraded rooms even come with chandeliers and rain showers. As well as numerous dining options, there’s a massive buffet breakfast served up every morning, with approximately 110 items for guests to choose from. Tokyo’s Ramen Street, as well as the opulent Kitte shopping mall, are both within walking distance. This upscale shopping area is packed with designer outlets and shining modern skyscrapers all looking to grab your attention in their grandness. Traditionally an entertainment district, Ginza has seen a lot of development in recent years and is now home to the wealthy and famous. 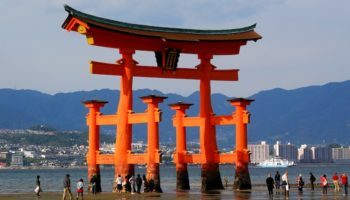 The centre of the district is the most expensive in the whole of Japan – one square metre of land in the area’s centre is valued to be over 10 million yen! If you are into shopping Ginza will be your paradise; inside Ginza Wako with its iconic clock tower luxury jewelry dazzles browsers, whilst Ginza 6 is an education in decadent Japanese shopping – and then there is Tokyu Plaza Ginza, which offers fashions and foods over 14 floors. Every upscale retail outlet you can think of has a spot in Ginza, as well as global cosmetics brands. As night falls Ginza starts hotting up in its funky bars and opulent clubs, this is a scene not to be missed. Delve into the whirlwind of the luxurious side to the Tokyo club scene, where the rich and beautiful unwind. If you are looking for something a little less raucous the Kabukiza Theater puts on traditional Kabuki performances. Imperial Hotel Tokyo – The Imperial Hotel Tokyo is all about luxury. A huge lobby with a sweeping staircase, shining pillars, and opulent decor is the first thing that will greet guests. The rooms here are spacious and well appointed; there’s even a complimentary tea set and newspaper service each morning. There are not only 13 bars to choose from at this 5-star offering, but 13 restaurants, too. Nearby, you’ll find the Nissei Theatre, amongst other attractions, as well as Ginza Station, making getting around Tokyo easy. Hotel Monterey Ginza – This is a polished, classically decorated and well-located hotel that makes seeing all the sights in Ginza – and around Tokyo – very easy and comfortable. 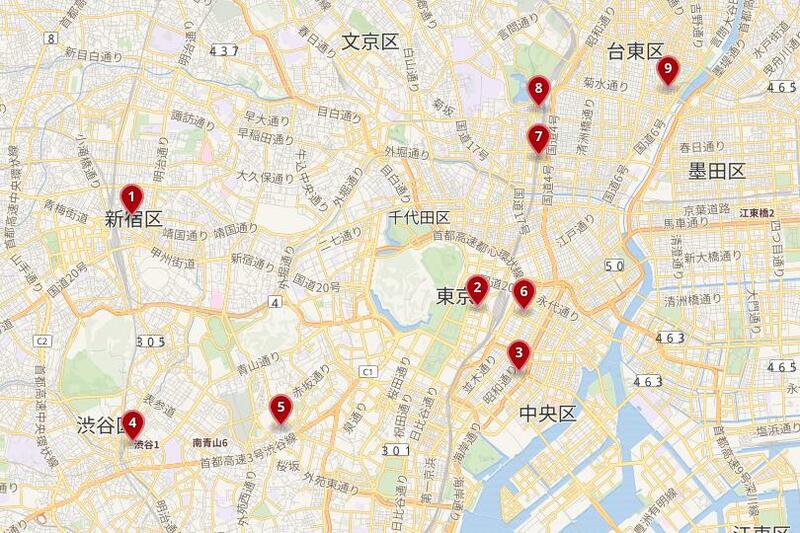 Malls like Mitsukoshi, Matsuya, and Kyukodo are nearby; and so are the train stations of Ginza-itchome and Yurakucho. Back at the hotel, there are two restaurants to dine at, plus there’s a big buffet breakfast served in the hotel’s Banquet Hall. 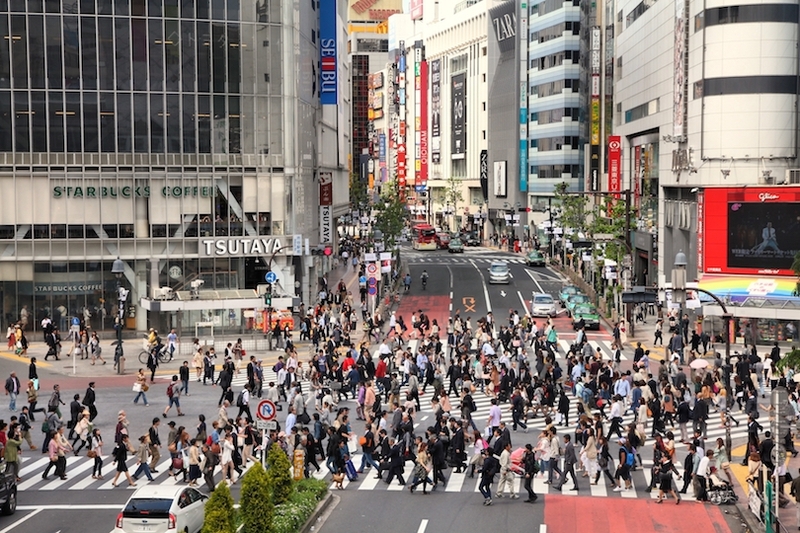 When it comes to Tokyo this image always comes to mind, the famous ordered crowds on Shibuya’s scramble crossing are synonymous with the global image of Tokyo and this area does not disappoint. The buzzing atmosphere, sky high neon flashing billboards and flowing rivers of people makes this place feel like the centre of the universe. This is usually the first place visitors head to when they arrive in Japan. Not only is Shibuya a global icon, but the area is a whole lot of fun to explore too. Past the obligatory selfie when taking on the crossing itself and down the pedestrianised side streets, Tokyo starts to be unveiled. Dazzling lit up arcades are where the city’s youth busily spend their free time on the crane machines trying to win kawaii plushies, or else they’ll be getting their pictures taken with friends in a photo booth. Even if you’re not into gaming just wandering around the floors of these temples to Japanese gaming culture is enormously entertaining. A lot of Tokyo’s main tourist attractions can be found near to Shibuya too, the famous statue of Hachiko – the loyal dog that waited for his owner to come home until his final day – still stands outside of the station to honor him. 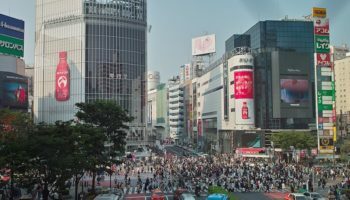 Shibuya has many hotels, is a major transport hub and is on the all-important Yamanote Line which will give you easy access to many of the major sites in Tokyo. Cerulean Tower Tokyu Hotel – Another of Tokyo’s stunning high-rise hotels, the Cerulean Tower Tokyu Hotel features contemporary rooms boasting city skyline views. Some rooms feature seating areas and kitchens. 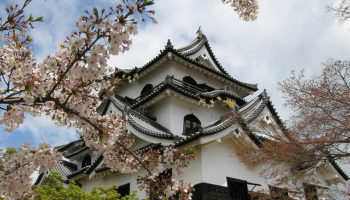 There are two traditional Japanese rooms that guests can book as well. This place is packed full of amenities, including a jazz club, a sake bar, and a multitude of restaurants. In terms of location, Shibuya Station – as well as the infamous Scramble Crossing – is just a short walk from this 5-star hotel. Shibuya Excel Hotel Tokyu – Just steps away from all the madness of central Shibuya – including the station, the Scramble Crossing, Shibuya 109 and the Hachiko Statue – this is one well-located hotel. The rooms at this 4-star offering are large and feature simple but stylish decor, boasting views of Shibuya and the rest of Tokyo. Two restaurants, located on high floors, have amazing views overlooking the Scramble Crossing. Getting anywhere is easy thanks to the six different train lines at Shibuya Station. Shibuya Hotel En – With giant Japanese comics plastering the walls in the lobby, this 3-star hotel is certainly a quirky but stylish choice. The rooms come in a mix of tastefully decorated styles, from whitewashed walls, white linen, and white furniture, to rooms done in a monochrome palette, or simpler, more compact options. There are two restaurants as well as massage services for guests to enjoy. Shibuya Station, Shibuya 109 and the crazy Scramble Crossing are all just a five-minute walk away. Roppongi is a lively affluent mix of soaring skyscrapers, and new developments such as the famous Roppongi Hills, which is home to theaters, restaurants, art galleries, shopping and a hotel. 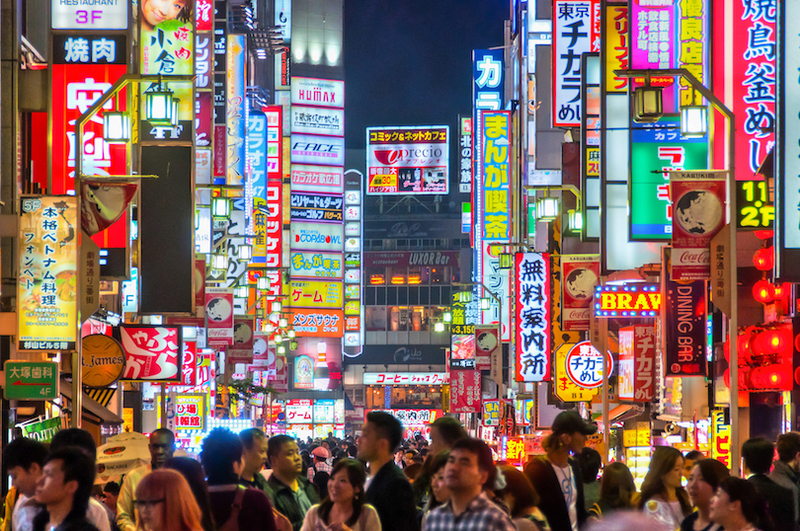 The thriving entertainment district which attracts Tokyo’s wealthy cosmopolitan crowd is the most diverse in the city. 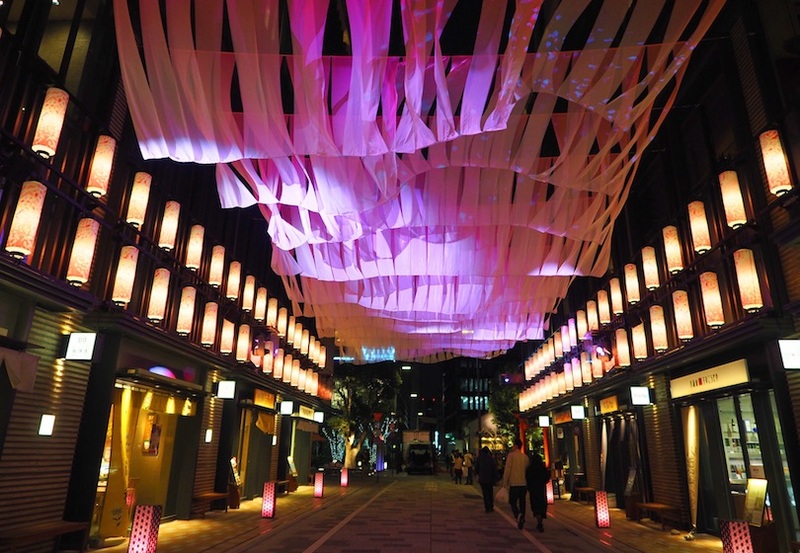 The area is not the traditional Japanese aesthetic, as much of it was destroyed during WWII, but it has been developed over time into a modern district and now attracts expats living in the city looking for a place to let down their hair in Roppongi’s many bars and clubs. If you are looking to party late into the night, or even into the next day, Roppongi is the district for you. The nightlife here has been well known after it became the residence of the American Army, when locally owned bars and brothels opened up to cater to them. Nowadays the party in Roppongi often doesn’t stop. The hotels around here are high end, globally renowned names and have some pretty fantastic views of the city’s skyline, especially when it is lit up at night. Shopping is also popular in the district with designer goods on sale in Mori Tower, where you can also grab yourself some delicious food in the many stylish eateries. Candeo Hotels Tokyo Roppongi – Sleek and ultra-modern, this 4-star option is packed full of chic design touches – from the polished, glittering lobby and the marble used in the angular Japanese public bath to the minimalist rooms. All rooms come with their own flat screen TVs, as well as seating areas where guests can look out over the city. Roppongi Station is steps away from this hotel, whilst Roppongi Hills and Mori Art Museum are an easy walk away. There’s a buffet breakfast served daily. Sotetsu Fresa Inn Tokyo Roppongi – Featuring modern, simple decor from its lobby to its bright, compact rooms, Sotetsu Fresa Inn Tokyo Roppongi is situated on a bustling city street. Those who want to explore what Tokyo has to offer will love this one. Roppongi Hills and Mori Art Museum are just 10 minutes away on foot, plus Roppongi Station is just a few minutes’ walk away. Back at the hotel, there’s a complimentary buffet breakfast featuring both Western and Japanese style items. A business district that developed around the Nihonbashi bridge that connects the two sides of the Nihonbashi River, Nihonbashi is one of Tokyo’s oldest economic areas. 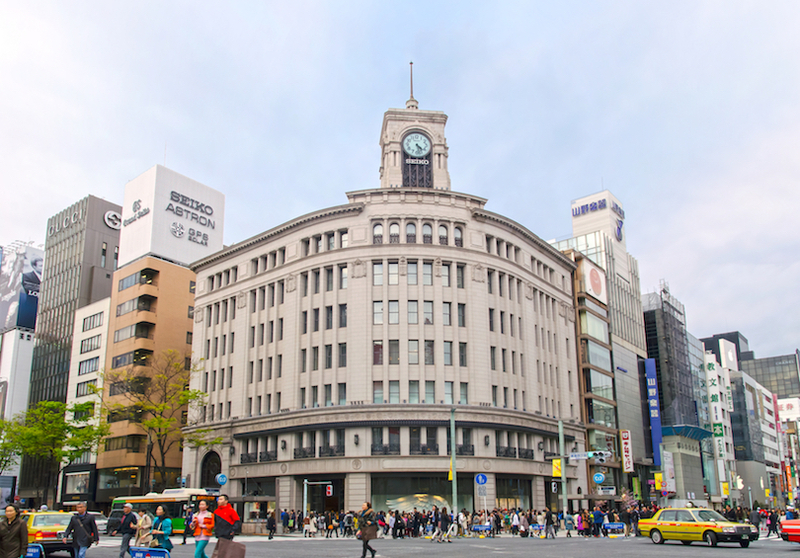 The famous Mitsukoshi department store – its history spanning four hundred years – stands alongside other great shopping opportunities which cater to older visitors. The Coredo Muromachi department store has a great selection of high quality eateries, cafes and shops as well as some famous specialised Japanese shops. 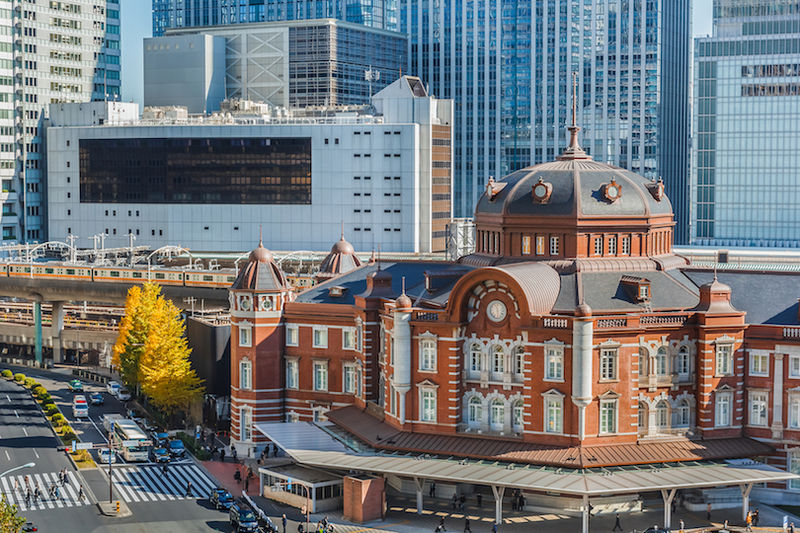 Nihonbashi Station is connected to the rest of Tokyo by the Ginza, Tozai & Asakusa Lines meaning that it is simple to travel to other attractions all over the busy city. Along with all of the prestigious shopping Nihonbashi also has intriguing attractions such as the Mitsui Memorial Museum with its ornate classical columns. The accomodation around Nihonbashi tends to be high end, although there are also many business hotels with small but clean and convenient rooms. Belken Hotel Tokyo – Belken Hotel Tokyo comes with simple yet stylish decor in its communal spaces, complete with calm colors and cool furniture. Rooms are compact but modern and comfortable; they also come with mini-fridges and large flat screen TVs. Location-wise, there are three stations within easy walking distance of this hotel, including Nihonbashi Station. 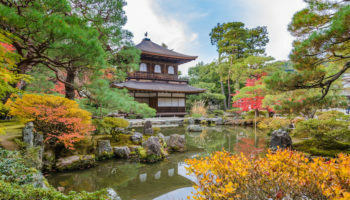 Attractions nearby include Tokyo’s Ramen Street, but things like Ryogoku Sumo Stadium and the Imperial Palace are close thanks to train connections. Mitsui Garden Hotel Kyobashi – With a few train stations within easy walking distance – including Tokyo Station and Nihonbashi Station – as well as sights like Tokyo’s Ramen Street and the upscale Kitte shopping mall, it’s fair to say that this hotel is conveniently located. The rooms at this 4-star offering are decked out in simple, contemporary furnishings. Guests can dine at the onsite restaurant but there are a lot of food choices surrounding the hotel. Tokyo Disney Resort is just a 30-minute train ride away. Akihabara is an otaku’s dream: walking through the rainbow coloured streets is like exploring a real life computer game. Blocks of buildings adorned in a spectrum of colours advertise the latest technology and glass cabinets out the front of shops show off figurines from the pages of manga. Akihabara is the electric city; inside the towering buildings floor after floor of specialised sellers offer their gadgets and games to discerning buyers – the higher the floor, the weirder the items on sale. The Akihabara district is a lot of fun and draws a younger crowd who into computer games and comic books; there are less restaurants to choose from compared to other areas, but the Akihabara metro is on the well connected Yamanote loop line. 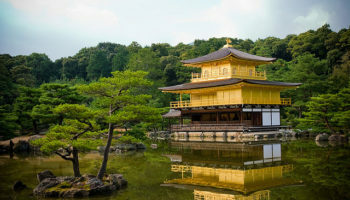 Accomodation in the area can be reasonably priced but expect to pay much more if you want a larger hotel room: Japanese hotels are notoriously small. APA Hotel Asakusabashi-Ekikita – With its compact, modern rooms that boast comfortable beds and large TVs, this branch of Japanese hotel chain APA is a cozy place to stay. The front desk is open 24-hours; there are free newspapers, and guests can dine or have breakfast at the onsite restaurant. This hotel is also very well located, with Asakusabashi Station just a four-minute walk away. Attractions like the Sumo Stadium at Ryogoku and Edo Tokyo Museum are within easy walking distance. Hotel Mystays Asakusabashi – At this 3-star hotel, there is a number of rooms on offer. These range from simple, compact and modern to rooms that combine traditional Japanese aesthetics and features with contemporary minimalism and bright aspects. Bicycle rental is available, but this hotel is a few minutes’ walk from Asakusabashi Station. The heart of Akihabara Electric Town is just a 10-minute walk away, whilst other cool parts of Tokyo are easy train rides, including Asakusa. 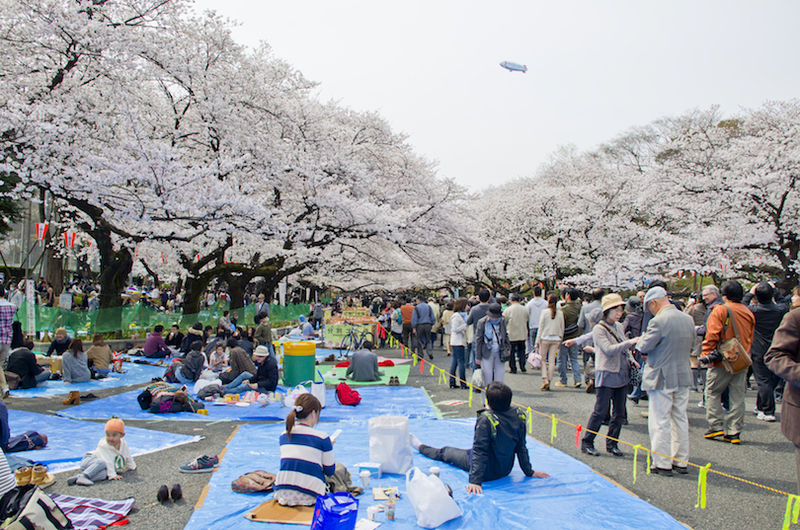 Ueno Park is icon and synonymous with Tokyo, especially during the cherry blossom season when the park fills up with locals and tourists alike drawn there to see the cherry blossom in full bloom. 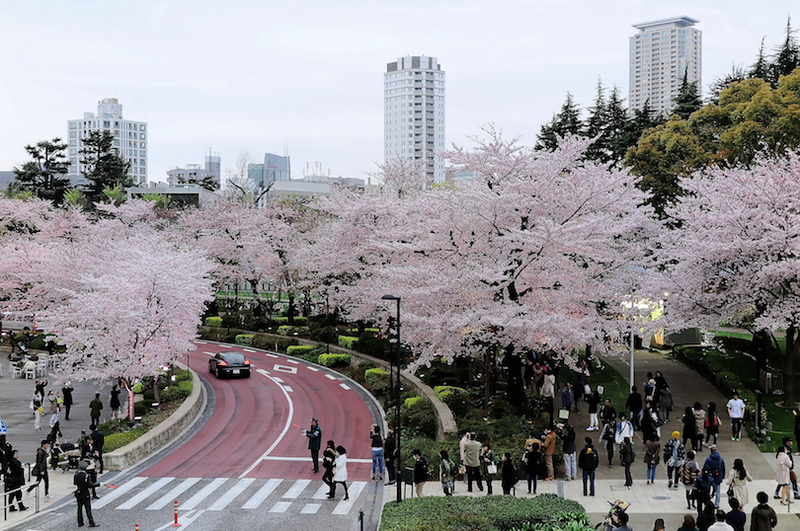 Visiting the Ueno area during the cherry blossoms is incredible, but it will be extremely crowded and hotels will be busy and much more expensive. Outside of the spring season Ueno is still a very attractive area to base yourself in the city. Away from the madness of Shinjuku, Ueno is a quieter park of the city, but with great metro connections you will be able to get anywhere you want to go within half an hour. Accommodation further away from the station is cheaper, but if you are prepared to pay some more, hotels closer to the metro will be more convenient. Hotel Coco Grand Ueno Shinobazu – The boutique style Hotel Coco Grand Ueno Shinobazu features a fair few amenities for guests to use, including a Japanese bath, a sauna, and massage services. There’s a buffet breakfast served up daily. While the hotel comes with views of Ueno Park, the park itself is within easy walking distance, plus Ueno Station is a mere five-minute walk away. Okachimachi Station, amongst a handful of other stations, is also nearby, making this hotel very well connected. Mitsui Garden Hotel Ueno – This large, 4-star hotel features rooms that are simply yet stylishly appointed and come complete with comfortable beds and large, flat screen TVs. There’s a restaurant here too, which serves up a breakfast buffet each morning. Mitsui Garden Hotel Ueno is well located, with Ueno Station just a two-minute walk away. The National Museum of Western Art is within easy walking distance, and the craziness of Akihabara is just a 10-minute train ride away. What it lacks in huge malls and high end shopping, Asakusa makes up for in tons of history. A slice of Tokyo of the past, kitch smaller eateries and an atmosphere closer to Kyoto than Tokyo makes Asakusa an enchanting area to stay in. 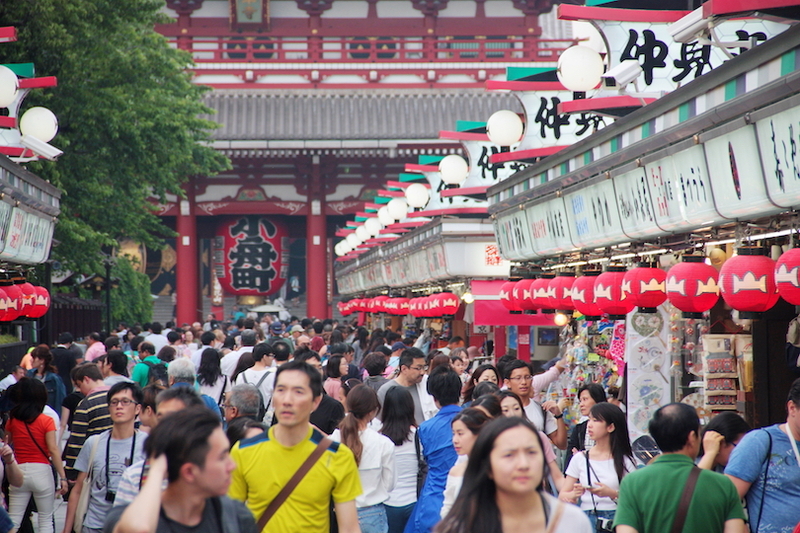 Traditionally a red light district, today the area is centred around the very popular Senso-ji temple, which attracts hordes of domestic and international tourists – it’s easy to explore and a great place to base yourself in the Japanese metropolis. Outside of the temples, the Nakamise shopping street leading up to them has been selling snacks and souvenirs to visitors for centuries and is a great spot to snap some pictures of the quirky sites around you. Because of its history as an entertainment district many geisha can be seen walking around the streets in Asakusa – although probably not strictly ‘real’ geisha, the costumes along with the man-powered rickshaws add to the authentic atmosphere of the area. Asakusa is also the perfect place to buy kimonos, and reasonably priced vintage kimonos are on sale around the temple. As always, in Japan great food and drink is not far away, Asakusa Kagetsudo bakery has been serving delicious melonpan to hungry customers since 1945 and is not to be missed; tempura is also popular traditional food in the area, along with restaurants serving unagi (grilled eel) which have a history dating back over one hundred years. Asakusa View Hotel – With its contemporary take on Art Deco style, the Asakusa View Hotel features large, warmly decorated rooms that boast wonderful views of the city; it’s even possible to see the huge Tokyo Skytree from this hotel. There are a number of dining options that make use of these views too, including a Japanese buffet on the 26th floor and a Chinese restaurant on the 27th. The temple of Senso-ji is a short walk from this hotel and so is Tawaramachi Station, which means you’ll be well connected staying here. APA Hotel Asakusa Tawaramachi Ekimae – This hotel is just a stone’s throw from Tawaramachi Station, which makes getting around Tokyo easy. Sights nearby also include the famous Senso-ji Temple. Back at the hotel, the lobby is squeaky clean and elegant, while rooms are compact but comfortable. There’s a Japanese bath located on the 14th floor of this 3-star hotel, which is free for guests to use. The front desk is open 24-hours per day and offers free newspapers as well as luggage storage.